Number of attacks against journalists has increased in last few years. What causes even more worries is the fact that physical attacks and violence against journalists has increased too. That was pointed out at the opening of two-day conference held in Belgrade on 6th and 7th December 2016 on Media Freedom and Security of Journalists in Western Balkans. 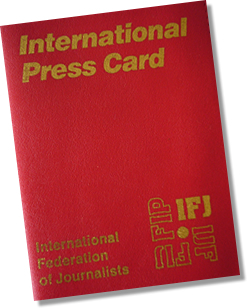 The European Federation of Journalists (EFJ) has been invited to take part to the event. The conference was organized by the Independent Association of Serbian Journalists (NUNS) as the part of the project Regional Platform for Advocating Media Freedom and Security of Journalists – a network of journalist organizations and unions in Western Balkan countries. Results of regional research about media freedom and journalist security, led by Snežana Trpevska, Ph. D. from Institute for Communication studies in Skopje, Macedonia, were presented at the conference. The research comprised 5 countries in the region: Bosnia and Herzegovina, Kosovo, Macedonia, Montenegro and Serbia and involved 3 topics: (A) legal framework and its enforcement, (B) financial and working situation of journalists and (C) security of journalists. Regarding law the research shows that legislation is within standards, but law enforcement is rather clumsy. In no country Internet is not subjected to specific regulations and there were some cases of attempted censorship. Regulatory bodies and public services in all countries are considered as highly politicized and very similar opinion is shared about state advertising, especially at local levels. Defamation is decriminalized in all researched countries, but legislation keeps fines very high and that influences self-censorship. In Bosnia and Herzegovina, for example, 80% of journalists said they were afraid of being taken to court under defamation charges. Research shows a general trend of critical journalism “fleeing” to online area. It has already become the zone of free journalism, but on the other hand zone of attacks. Non-profit media journalists point out that they are very often targeted by centers of power and part of colleagues who try to discredit them as profiteers and foreign “mercenaries”. Regarding joining journalists into professional organization the research shows another trend existing in all researched countries – administration create parallel civil society structures to discredit legitimate professional organizations. Regarding protection of sources it is evident that in all countries journalists have been under pressure to disclose their sources without court orders. As far as access to information goes, administration is silent in all countries or they stall big time. Journalists in each country consider Parliaments to be the most open state institution while Governments and political parties to be the most closed. Research chapter dealing with working and financial situation of journalists shows that their economic and social position has deteriorated during past few years. In some countries journalists’ salaries are below average, they often work overtime and have no long lasting (permanent) contracts. That is the reason they are exposed to constant fear of being fired. In all researched countries there is one more problem – due to lack of internal acts that should protect newsroom independency regarding owners and journalists regarding editors there is very strong influence of management. It should be noted that this research is the first one to gather statistics about attacks against journalists in the region. Data show that number of physical attacks in all researched countries have increased in last few years. 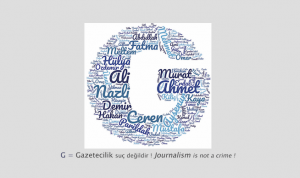 Nearly all cases of journalist murders are still not solved and perpetrators yet not found. During research it became evident that state institutions do not have standard statistics for attacks against journalists nor is there a uniform system of defining types of attacks. Measures taken to protect journalists are not adequate, there are neither policies to take care of that nor mechanisms to monitor the situation and report on it. Even more, state officials very rarely condemn clearly violence against journalists and sometimes they even try to cover it up. 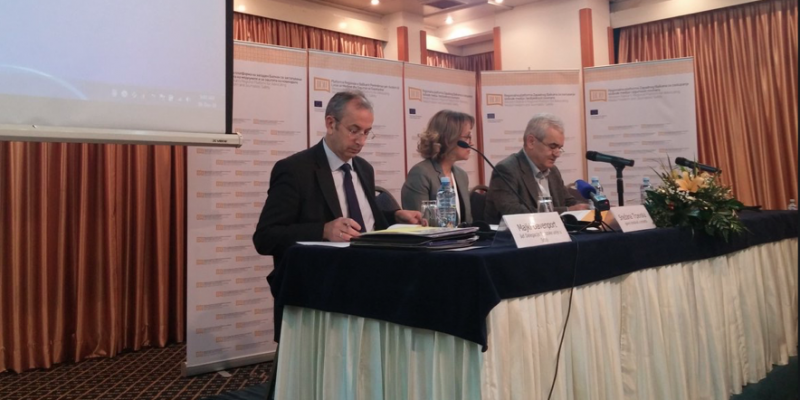 An online platform safejournalists.net that for the first time gathers statistics about attacks against journalists from the region has been presented at the conference. The new platform facilitates reporting attacks or violation of journalist rights as well as searching data bases about those cases in six regional centers (Sarajevo, Zagreb, Priština, Skopje, Podgorica, Beograd). 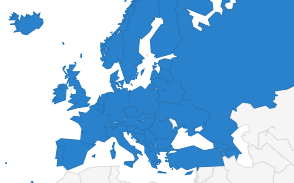 The online platform is part of a system of early warning and prevention of attacks against journalists that is under developing by the Regional Platform for Advocating Media Freedom and Security of Journalists – network of journalist organizations and unions in Western Balkans established in January 2016. The conference targeted various topics: state mechanisms for journalists’ security, role of professional organizations regarding journalists’ safety, legal protection of media and journalists and consequences of state advertizing. The conference was participated by: Michael Davenport, head of EU Delegation in RS, Snežana Trpevska, head of Project research, Dunja Mijatović, OSCE Representative on Media Freedom, Martina Silvestri, from the Council of Europe, Mehmet Koksal from the European Federation of Journalists (EFJ) and representatives of regional journalist organizations and unions.